Share your ride and save up to 40% on your fare. Curb Share is a new ride type available in New York City. 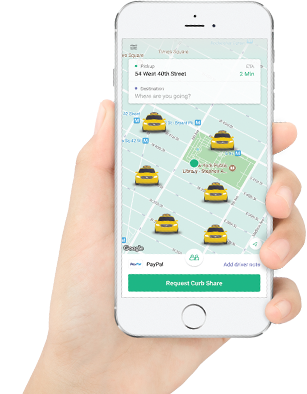 During a Curb Share trip, you may be matched with other riders going in the same direction as you and get up to 40% off your regular taxi fare when they join your taxi. View the Curb Share video to see how it works!